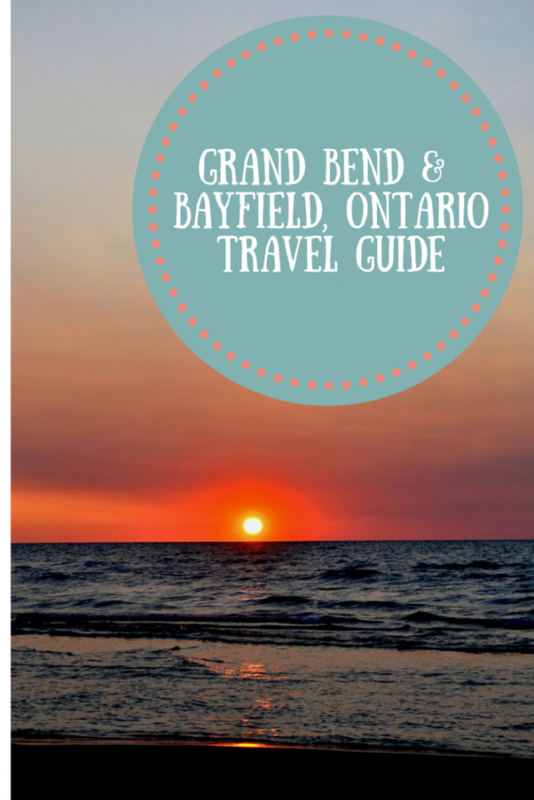 The area of Lake Huron on Ontario, Canada that encompasses Grand Bend and Bayfield beaches are a favourite of ours. Since we have family in the area, we spend as much time as we can in these areas every summer. 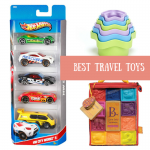 The beaches are wonderful and family-friendly and we could spend endless days just having fun in these small towns. 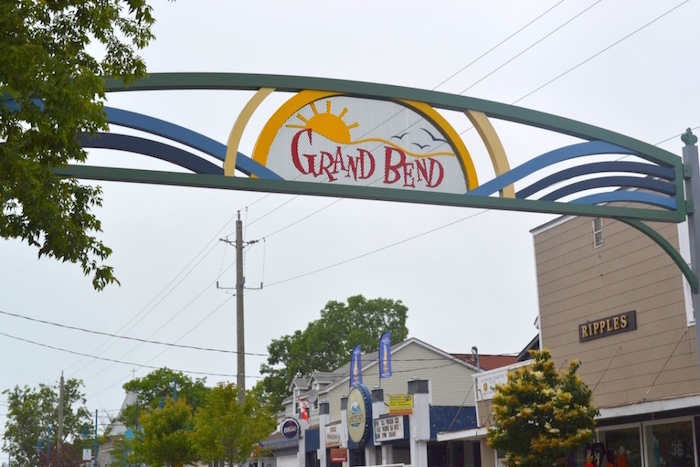 While Grand Bend, otherwise known as GB, tends to appeal more to a younger crowd, there are still many options for families. 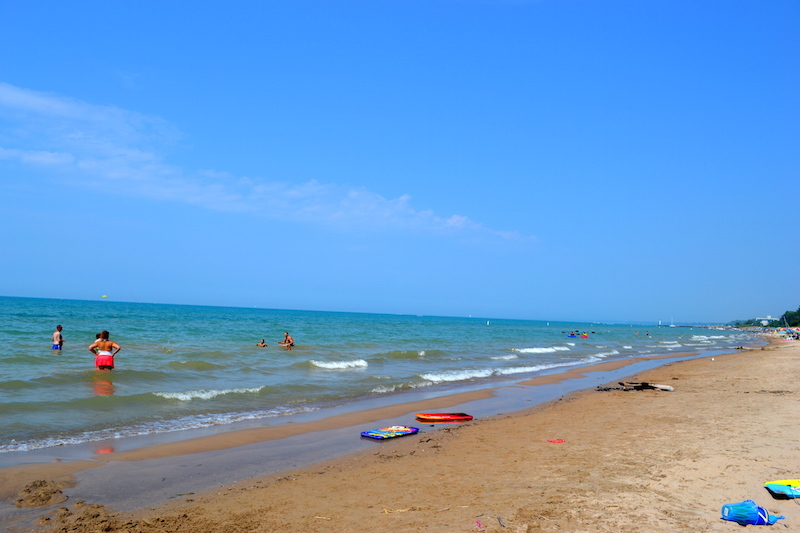 The beaches here, including the Pinery Ontario Provincial Park, are perfect for kids of all ages. Bayfield appeals more to an older crowd and you won’t find the party atmosphere here that you can easily to spot in Grand Bend, but it is one of my favourite little towns. From spending the day on the beach and watersports, to dining on a waterfront patio, picking up some post-dinner ice-cream, or perusing the cute independent shops along both Bayfield and Grand Bend’s main strips, there is plenty to do in both of these towns. 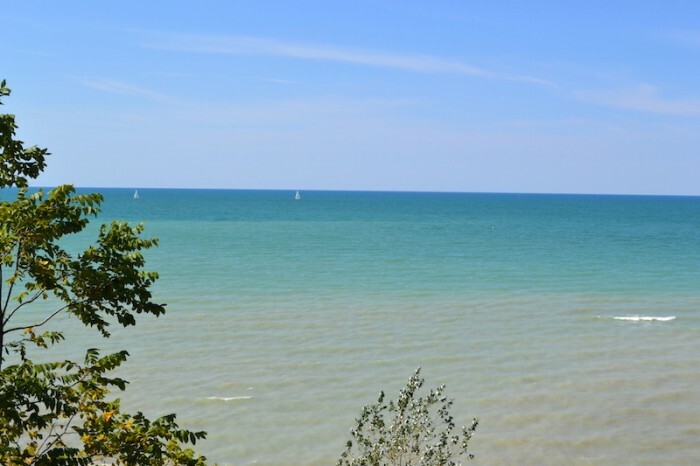 Bayfield is about a half an hour drive away from GB, so you can easily enjoy both of these towns during your trip, regardless of where you stay. To top it off, this area of Lake Huron is known for having some of the best sunsets in the world! 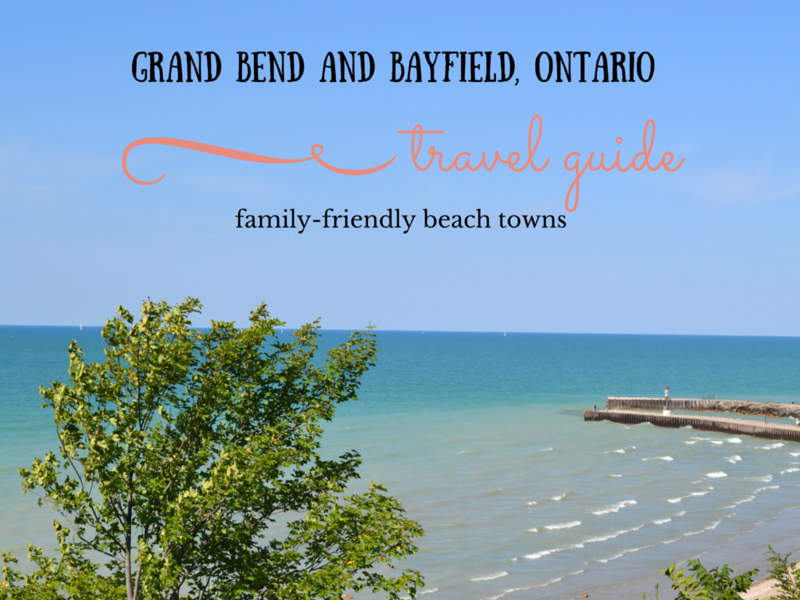 Come see for yourself after you explore this Grand Bend and Bayfield Family Travel Guide. The best time to book a stay in either of these two towns is during the summer months – July and August. June and September are still a good time to visit as they are quieter but normally still offer nice weather. You just can’t count on the lake water to be warm enough for swimming during these months, as it can be a toss-up when it comes to the weather. We also enjoy visiting both areas in the fall (beautiful, quiet but still warmish) as well as the spring, before crowds really take over. And there are great hotels in both areas that offer year-long accommodation. The main attraction is the blue-green, clean waters of Lake Huron. Pinery Provincial Park just south of Grand Bend has a wonderful family-oriented beach if you are camping. This beach stretches on north to the private cottage areas of Grand Bend, such as Southcott Pines, where many of the rental cottages are located. These private beaches tend to be not only quieter than the main beach, but also more suited to and full of young kids. The main beach is still great for people of any age, but it’s the definitely place to be if you like more action. It’s also the point where you can rent sea-dos or take part in watersports like paragliding. If you go further North, you’ll reach Bayfield. There are three beach access points in Bayfield, one with drive-up access (the main beach) as well as two others – Pioneer Park and Howard Street Beaches – with stairs to the beach. These beaches are generally quieter than the main beach of Grand Bend, and just as beautiful. You can easily occupy a whole day on any of these beaches, from swimming, gathering shells and stones, building sandcastles, and playing games. Don’t forget to check your beach list to make sure you don’t leave out anything in your beach bag! 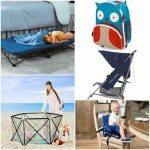 Both areas have a main street with lots of dining and shopping options, as well as play equipment and splash pads for the kids. The Strip – Lovingly referred to the strip, Grand Bend’s main street is full of a plethora of stores. The upper part of the strip closest to Highway 21 offers places like a sweet tea shop and cafe (akSence), a smoothie and coffee cafe, a great food emporium full of local and tasty edibles (Foodies), and a new art store (Gift of Art) with all kinds of fun and exciting local artistans’ works. As you walk further down, there are even more stores, from clothing and beachwear to candy stores and surf stores. There is no shortage of quick food stops – French fries, burgers and ice-cream – but there are also some options for healthier and tasty food. Midori Sushi is our go-to for delicious sushi in the area, with a cute patio out front, and they also offer take-out. The Growling Gator sits right across from the beach so you can check out all the happenings on its two-tiered large patio. This family-friendly place offers a mix of burgers, salads and wraps among its items. If you’re looking for something a bit different and away from the main strip, Smackwater Jacks sits at the marina overlooking the boats and waterway. The main beach area pavilion houses an expansive beach, the lifeguard station, washrooms, an accessible playground and splash pad, and a boardwalk. Downtown Bayfield – The main strip of Bayfield is very different from Grand Bend. The big hum of noise from GB is no longer audible and everything happens at a slower pace here. There’s a nice mix of local stores, including clothing boutiques, jewellery stores, giftwares, a bakery, and The Village Bookshop, which is one of my favourite little bookstores. There’s also an ice-cream parlour and a few different dining options. 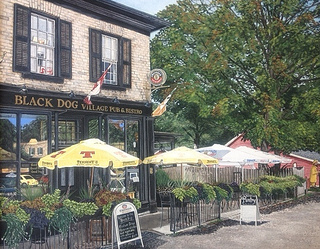 The Black Dog pub is the most popular place when it comes to casual food and drinks. They’ve got an extensive list of beer and scotch, as well as a nice menu of items like specialty sandwiches and salads and Indian dishes. Further down the street is Artsee Cafe, which serves up delicious breakfast and lunch as well as world-themed Saturday evening dinners. For a higher-end experience, The Little Inn has a wonderful menu in their beautiful dining room, along with an assortment of accommodation. Their breakfast is delicious and we’ve never been disappointed with their amazing lunches or dinners. Across the road from the Inn is the Red Pump, which also provides a higher-end dining and accommodation experience and is open for both lunch and dinner. The Saturday morning flea market in Grand Bend is always jam-packed. You can find everything from large pickles on a stick, to vintage toys, new clothing and giftware. It’s a fun place to come in the morning with the whole family. The Pinery Provincial Park offers some fun and easy hiking trails that you can partake whether or not you’re staying in the park (there is a separate admission fee if you’re just coming for the day). 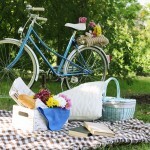 You’ll see many people biking along the trails as well as biking from Grand Bend to the Pinery. You can’t forget your bike when you come this way! In the winter months, the park is open for cross-country skiing and winter hiking. Kryart Studio in Bayfield is an open-space art studio where people of all ages can come to create art. They also offer summer day camps for kids. If you’re hoping to catch a movie, the Starlite drive-in is a fun family-friendly place to catch a movie or two and has a food and snack center was well. 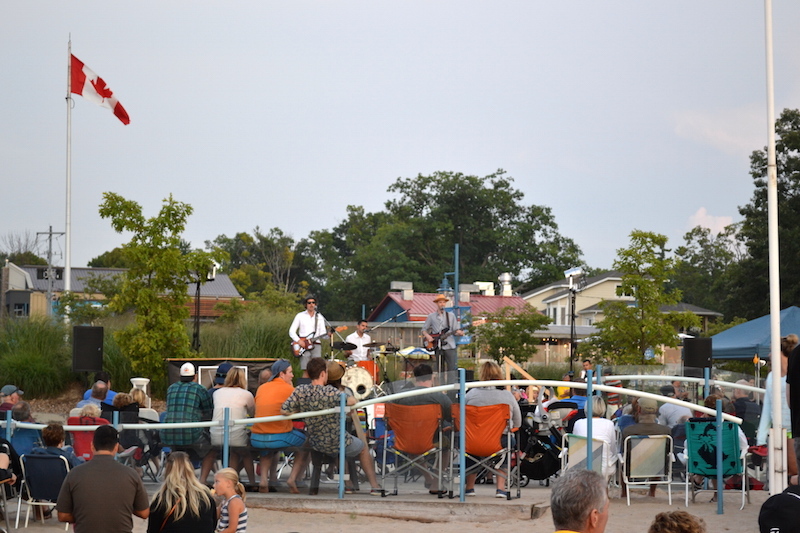 Every Sunday night in August beginning at 7pm, the Grand Bend pavilion on the main beach turns into a live music scene, showcasing a different band each night. It’s a great time for the whole family. Grab some ice-cream, bring a blanket and sit on the beach with the family to listen to some good tunes. The Huron Country Play House in Grand Bend is a popular place to catch a play in the summer and can also be fun for older children. Both Bayfield and Grand Bend have their respective farmer’s markets. Bayfield’s runs every Friday afternoon in the main square from 3pm-7pm, while Grand Bend’s market takes place every Wednesday morning from 8am-1pm at the Colonial Hotel on the main street. Since we’re south of the U.S. border here, we celebrate July 1st (although July 4th celebrations are just as welcome!) There is a great fireworks display on the Grand Bend beach at dark, where everyone gathers to watch the spectacle. 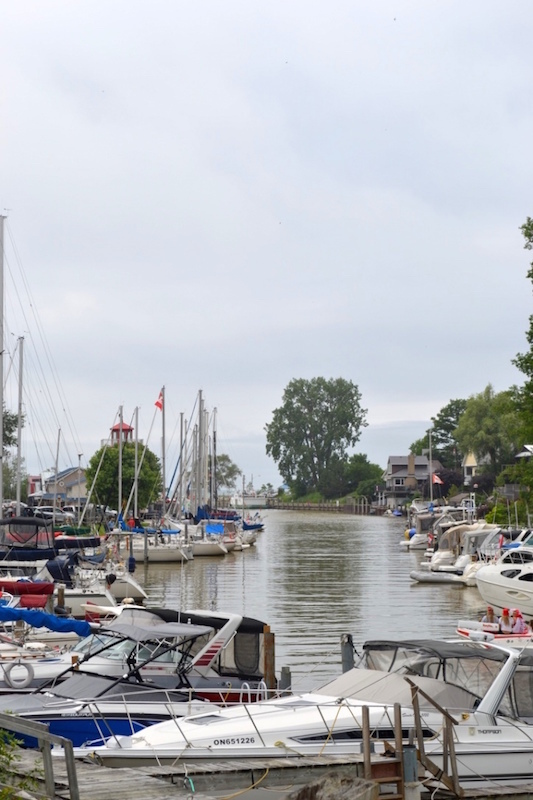 Both Grand Bend and Bayfield have very popular marinas where boats of all sizes are parked for the summer and beyond. Jet-skis and sea-dos are also popular on both beaches. For the golf-lover(s) in the family, there are a ton of golfing options in the area, including Oakwood Inn in Grand Bend, and Bluewater Golf Course in Bayfield. I can’t write about this area without mentioning Twin Pines Cider and Orchard House. This is one of our favourite places to visit in all seasons, but especially in the fall/winter. Known for producing world-winning cider, this lovely family-owned property is beautiful and sits on acres of apple orchards. There is also a great little forest to explore for the little ones and on weekends they offer delicious mini doughnuts for sale. Come any day of the week to taste the numerous ciders – both regular and alcoholic. The fall offers the opportunity to pick some of their delicious apples or even purchase pre-picked ones, both at great prices. Inside the big house is a great gift shop as well selling local artisan wares like soap, pottery, gifts, and even jams and jellies made by Alma, one of the owners of Twin Pines. Voted one of the best in the world, the sunsets over Lake Huron in this area are not to be missed! Grab a blanket and come down with the family to watch the gorgeous sunset on any clear night. If you’re hoping to stay for a week (or longer), think about renting a private cottage. There are numerous websites to find cottages for rent in the area, and many of these offer access to a private beach area, or are even right on the beach. Book far in advance though as places fill up quickly. There are also plenty of other accommodation options, ranging from a higher-end hotel to budget motels and even camping. Oakwood Resort – offers a mix of rooms, suites and cottages. At the higher end of the spectrum, but very family-friendly and provides an indoor pool, access to a private beach, a golf course, spa and on-site dining options. Bonnie Doon Manor on the Beach – a fun place right on the beach, they offer fully-stocked, pet-friendly rooms as well as cottages. Bluewater Motel – another family-friendly option, this motel also has an outdoor pool. Pine Dale Motor Inn – a budget-friendly accommodation with different room options. 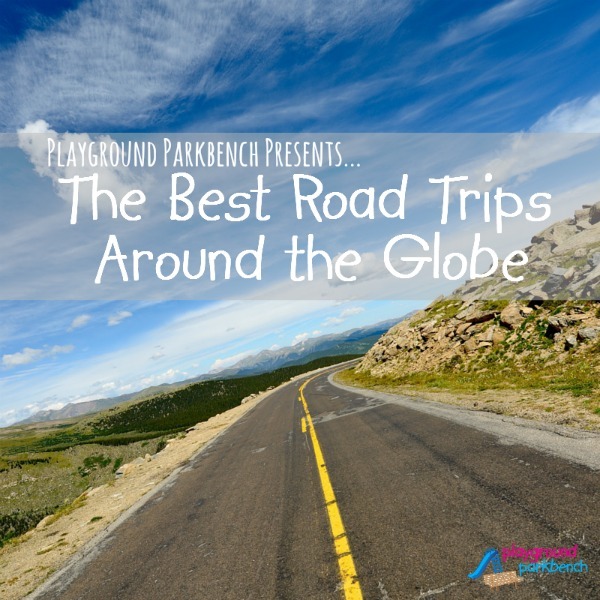 Pinery Provincial Park – this is a wonderful family-friendly way to see the area and the park is well-known for family camping as well as a terrific beach. The Little Inn – a higher-end accommodation option, The Little Inn offers a mix of accommodation and dining packages, and many rooms are also pet-friendly. Their meals are so delicious and we are always happy with our stay. This is the most popular inn in the area, so ensure you book in advance. The Red Pump – another more luxurious option is the Red Pump, which has a small selection of beautiful rooms. Deer Park Lodge – located on 5 acres adjoining the beautiful beach, this lodge near Bayfield provides simple cottages as well as rooms, and they also have an indoor and outdoor salt-water pool. 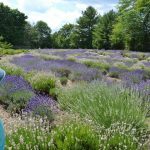 Hessenland Country Inn – halfway between Grand Bend and Bayfield lies this beautiful property with many room options as well as an outdoor pool. There are plenty of eatery options in both areas (as well as in between), from fish and chips to high-end foodie delights. 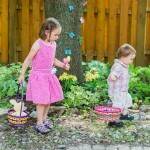 Here are lists from both areas of our favourite and recommend family-friendly options. Book a visit to the area for your next summer vacation. I know you won’t be disappointed! 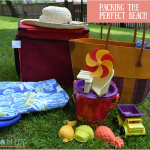 Packing the Perfect Beach Bag – Let’s Go to the Beach! I’ve never vacationed in Canada (spent lots of time there for work! ), but these look like a beautiful place to start!